Happy National Pet day everyone! I don’t have a pet quite yet, but I do offer to dog sit for my friends whenever they are out of town. There’s three things that I always like to do when taking care of these dogs: hike, run, and eat at dog friendly restaurants! To celebrate National Pet Day, I’ve rounded up three more dog friendly restaurants in Phoenix that you can enjoy with your pet! Check out my original post about dog friendly restaurants here, and enjoy the rest below! I love the happy hour at Salut Kitchen and Wine Bar because you can get 50% off all bottles of wine…and if you dont finish the bottle, you can take it home! Doesn’t that sound amazing? They’re also dog friendly and have delicious food and a great outdoor seating area! Their brunch is super tasty and their dinner is just as good! 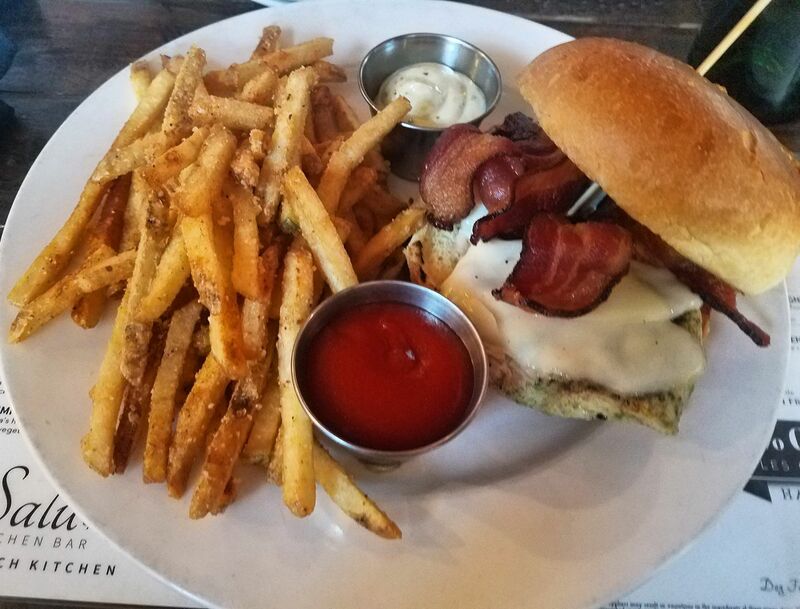 I had the Applewood Grilled Chicken sandwich with the truffle fries that are made with lemon truffle aioli. SO MUCH FLAVOR IN EVERY BITE! Windsor is another great place to bring your pup. Their outdoor area is super cute and the servers are so nice! 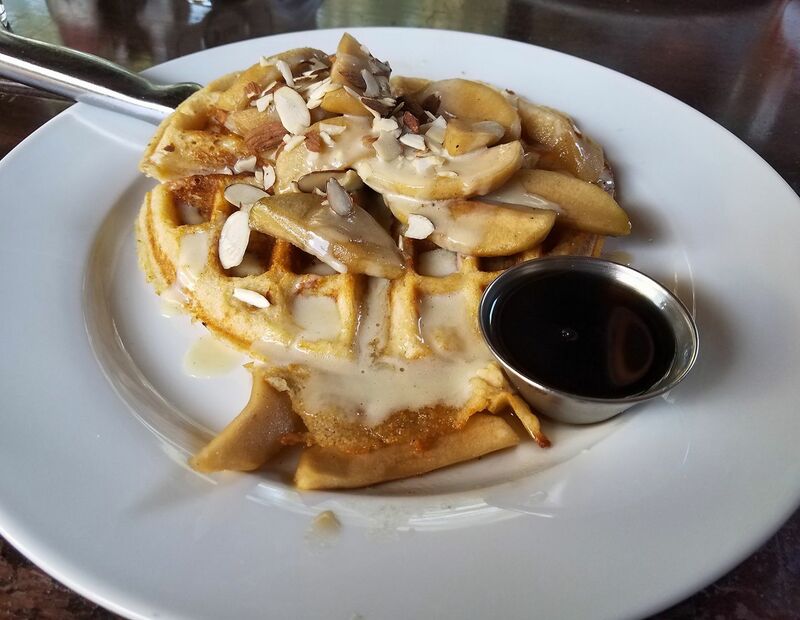 I tried the apple almond waffles at The Windsor and omg my friends, these were some of the tastiest I’ve ever had and I eat out quite a bit. The Farm at South Mountain is another great spot to bring your pup, you just have to keep your dog on a leash. The brunch is DELICIOUS. 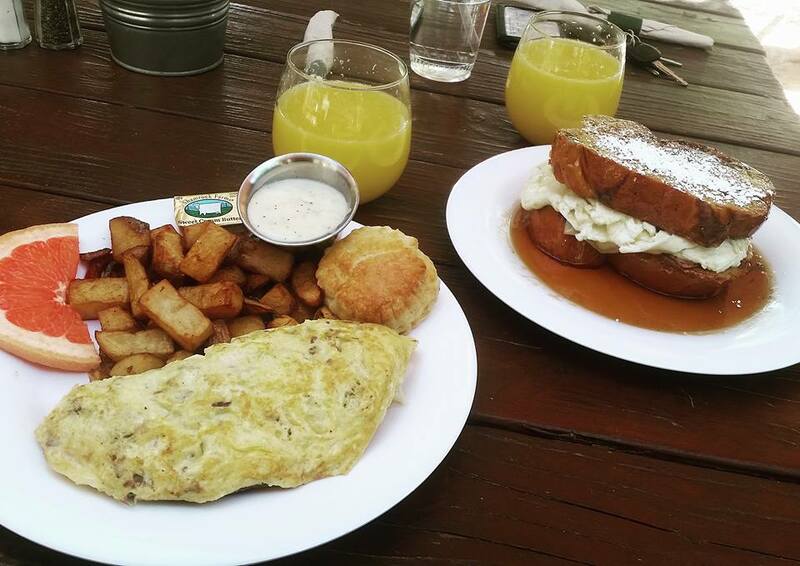 We of course had mimosas, I had the the ‘pork is the new black’ omelet with breakfast potatoes and a flaky buttermilk biscuit and my cousin had the farm monte cristo which was a french toast sandwich with egg, ham and cheese covered in syrup. Not only is the food fantastic, but it’s such a beautiful area, they have such great service and the vibe is so cute and classy! Are you inspired to go out and eat with your pup now? I hope so! Please let me know if I missed any key restaurants and maybe I’ll make a part three! You can check out part one to get more ideas here. < Previous 9 Photos To Inspire You To Hike Hualapai Mountain! Next > 11 English & Spanish Book Recommendations From Boss Ladies at #WeAllGrow!